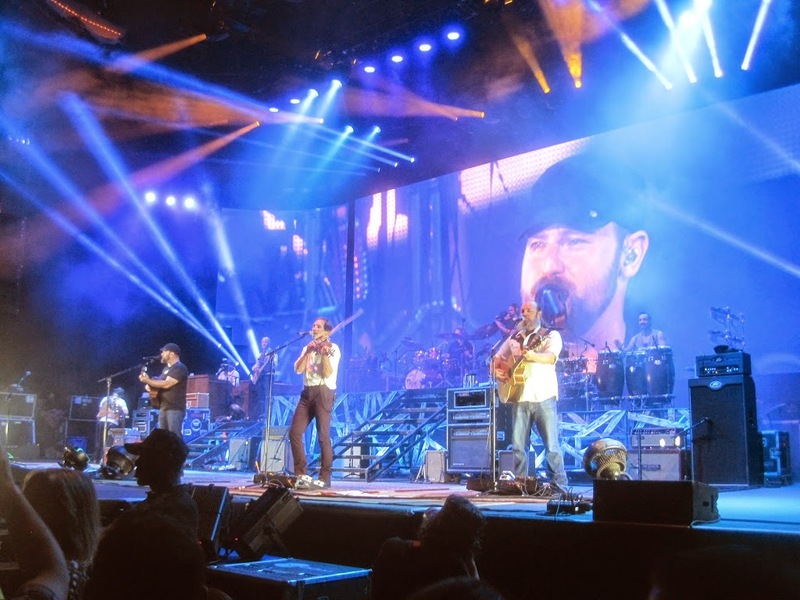 The Zac Brown Band brought their American Road Trip Tour to South Florida this past week as they played to four enormous crowds, two in Tampa and two in West Palm Beach. I was lucky enough to be in the Palm Beach area and caught Saturday’s show at the Cruzan Amphitheater. 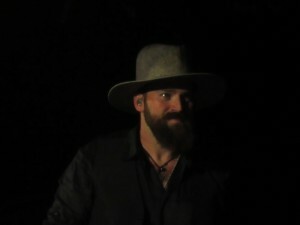 My wife and I were fortunate to not only run into and speak to Zac at our hotel’s pool earlier that day, but were able to attend the “Eat & Greet” that ZBB and Chef Rusty put on for a handful of fans before each of their shows. 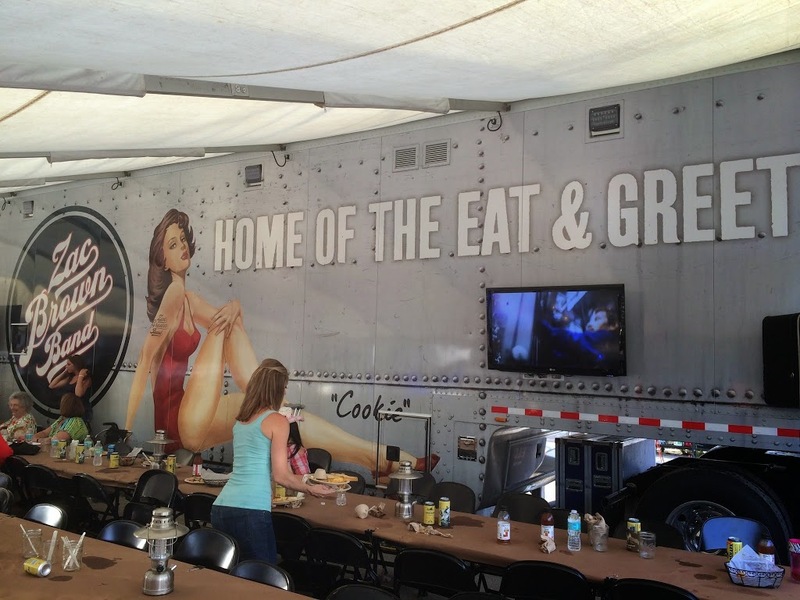 We were served up some amazing pork, beef, coleslaw, corn and more as fans got to interact with all the bandmates. 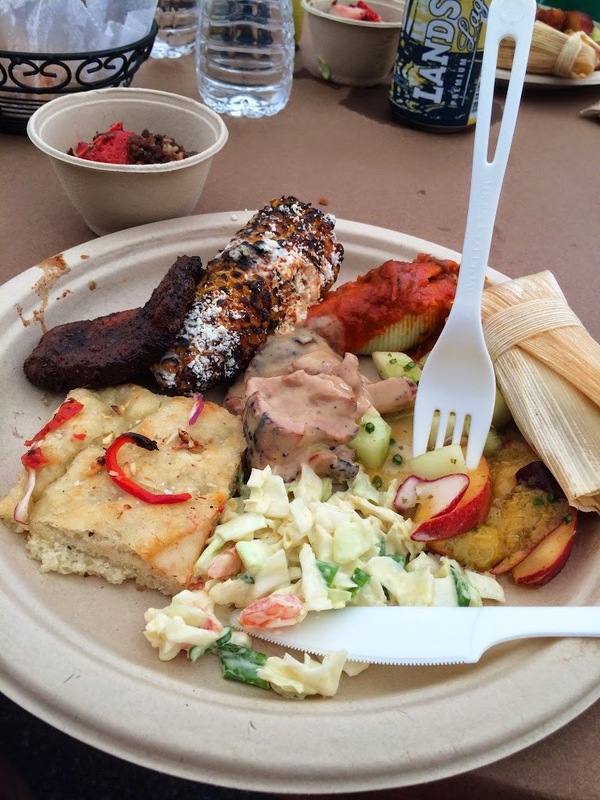 This was my third eat and greet experience and each one has been a bit different, but always overly satisfying. I got to spend some extended time speaking to Chris Fryar, the drummer for ZBB. I have met a lot of people in the music business over the years, but Chris may have been the most down to earth and honest guy I have ever spoken with. He really produced a sense of thankfulness for the fans, what he does for a living and the experiences he has been able to have due to the Band’s success. 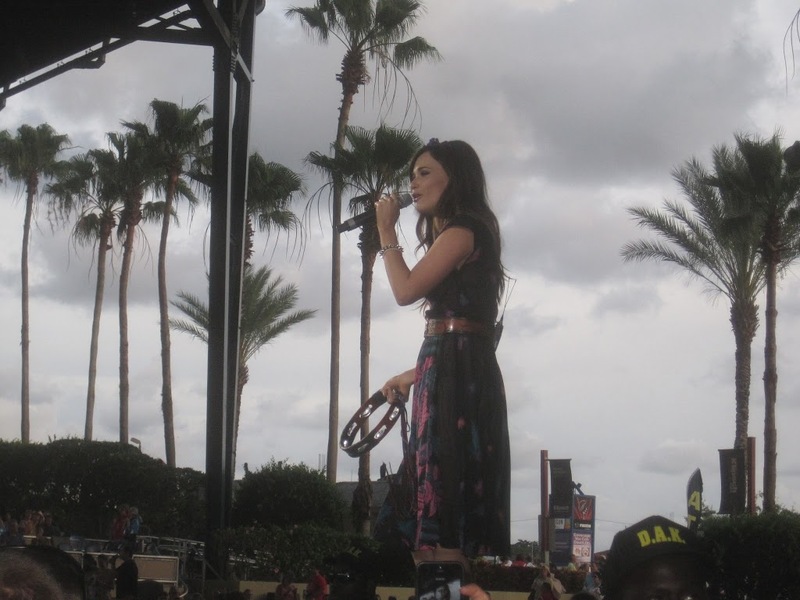 After the eat and greet, we arrived in the Pit just in time for Kacey Musgraves to hit the stage. Kacey put forth a relaxed, yet quality set full of songs from her first album that has been critically acclaimed all year. She is one of my favorite female artists and it was great to finally see her in front of a huge crowd (which, by the way, was one of the biggest I’ve ever seen for an Amphitheater setting). Kacey stuck to mostly her songs, but also broke out some fun covers, including a Latin-infused version of “Dance With You” by George Strait, in which she brought out Daniel De Los Reyes, from the Zac Brown Band to play the bongos. She also covered Miranda Lambert’s “Mama’s Broken Heart” (which she had written) and Bob Marley’s “Three Little Birds” at the end of her own song, “Step Off”. 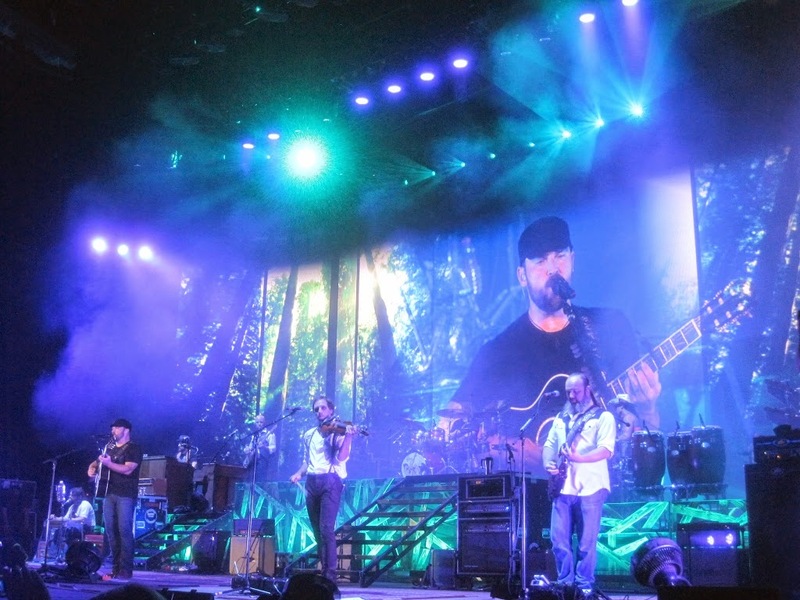 When it came time for the main event, it was apparent that Zac and the boys really changed things up for this tour. 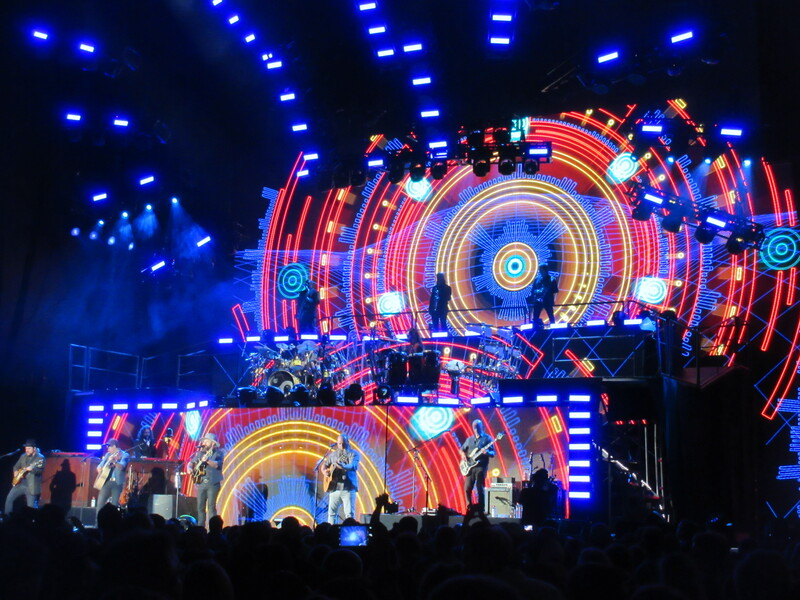 Everything from the setlist, the stage, big screens, and special effects were diligently conceived and masterfully executed. 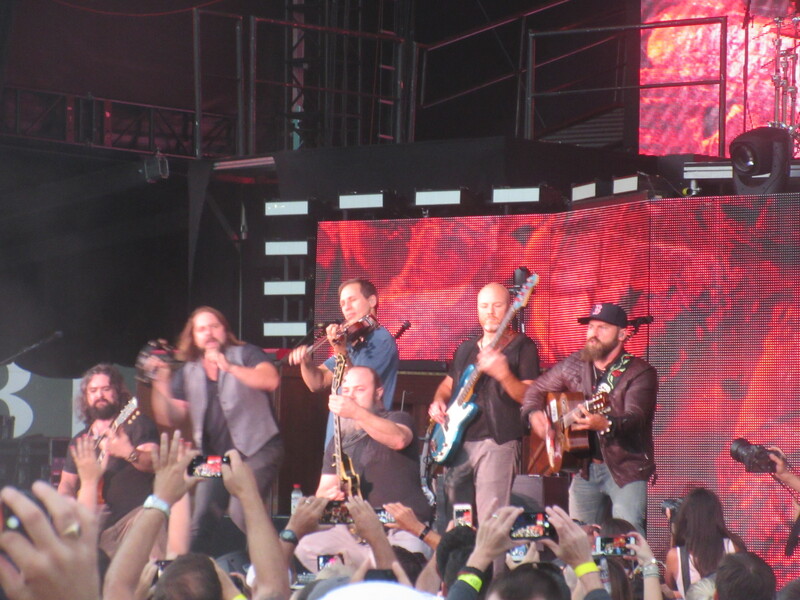 And ZBB came flying out of the gate with “Devil Went Down to Georgia” and they never looked back. Zac, himself, seemed to be a bit different this time around. As always, his vocals and instrumental focus was as good as anyone in the business, but he seemed a lot happier and interacted with the crowd a lot more. He jumped into the crowd during the entire “Keep Me In Mind”, running around slapping everyone five. 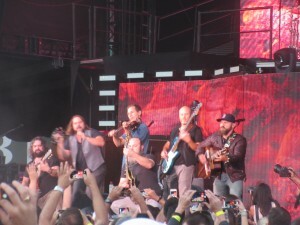 Further, he was down on his knees thanking the crowd during “Colder Weather”. It was great to see him so happy and interactive. 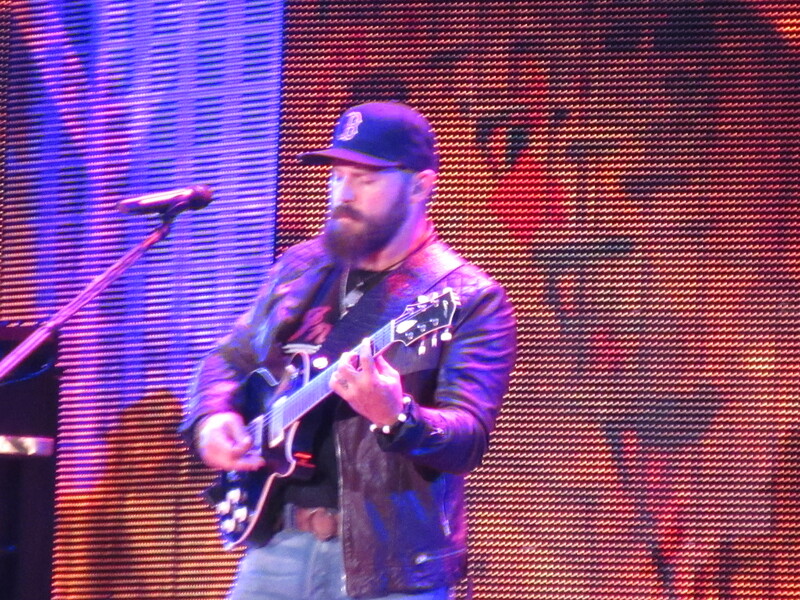 As any ZBB concert-goer knows, you will never hear the same setlist twice, a real salute to the musicianship that they are dedicated to. 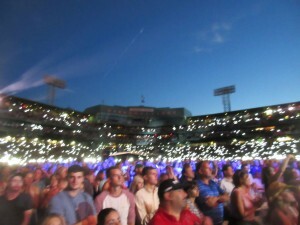 On this night hits such as “Toes”, “Goodbye In Her Eyes” and “As She’s Walking Away” were performed, but non-album cuts and numerous covers as well. At one point, during an acoustic portion, Zac told the crowd he got an e-mail from Billy Joel﻿ saying he wanted to do a song with him at their run of Fenway Park shows, and then they performed a stirring version of “Piano Man”. Clay Cook took the vocals for Foo Fighters’ “Times Like These” and John Hopkins for Metallica’s “Enter the Sandman” during the encore. 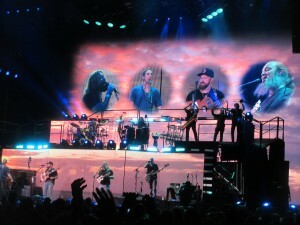 When seeing the Zac Brown Band live, you must expect the unexpected”. 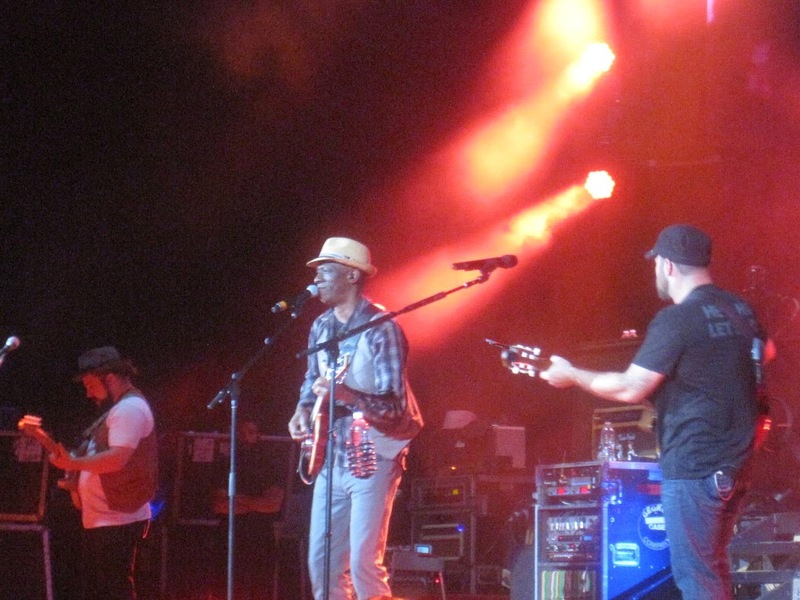 In fact, the famed blues artist, Keb’ Mo’ sat in the band at two separate times during the night for some nasty funk that had the crowd dancing to a different, yet welcomed beat. 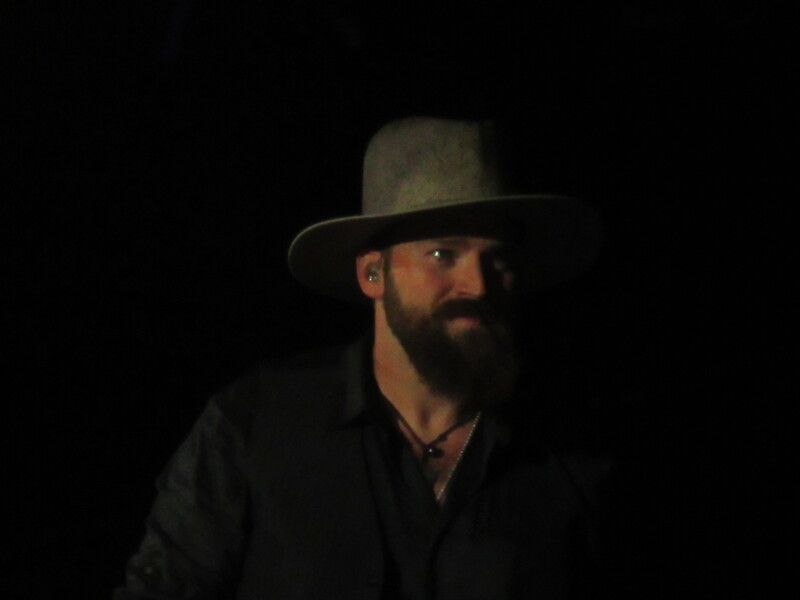 To some, ZBB is best known for “Chicken Fried” and it was unusual for me to hear this song smack in the middle of their set, instead of the usually placement at the end of the night (again, the unexpected). And during the patriotic verse of the song, a member of the military came out to salute the crowd in unison with the lyrics. It was chilling to see the response of the soldier’s face letting out a sigh of emotion as he walked off the stage, which was captured on the giant screens. 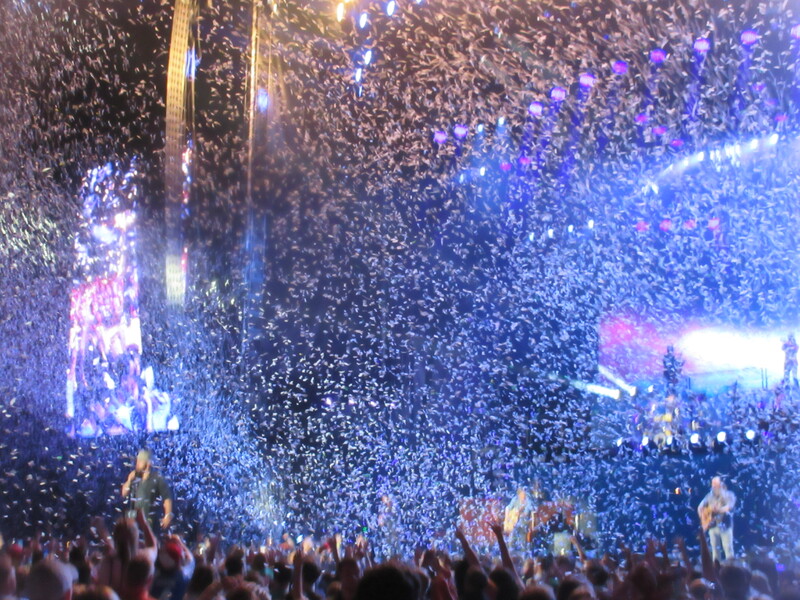 The real highlight, for me, was after a ten minute intermission, the Band came back to a lighting and rain storm created by special effects as they performed a bombastic version of “Let It Rain” from the Grohl Sessions, Vol. I Ep. The effects seen during this song rival anything I’ve ever seen at any other concert and I cannot wait to see it in a Stadium show later this summer. The encore of the night did not disappoint in the least either. 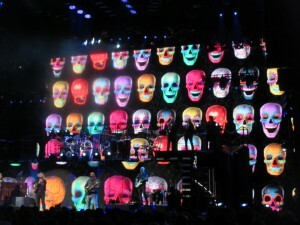 Dressed in glow-in-the-dark outfits and intricate masks, ZBB blasted into “Day of the Dead”, “Enter the Sandman” and Tom Petty’s “Running Down A Dream”. 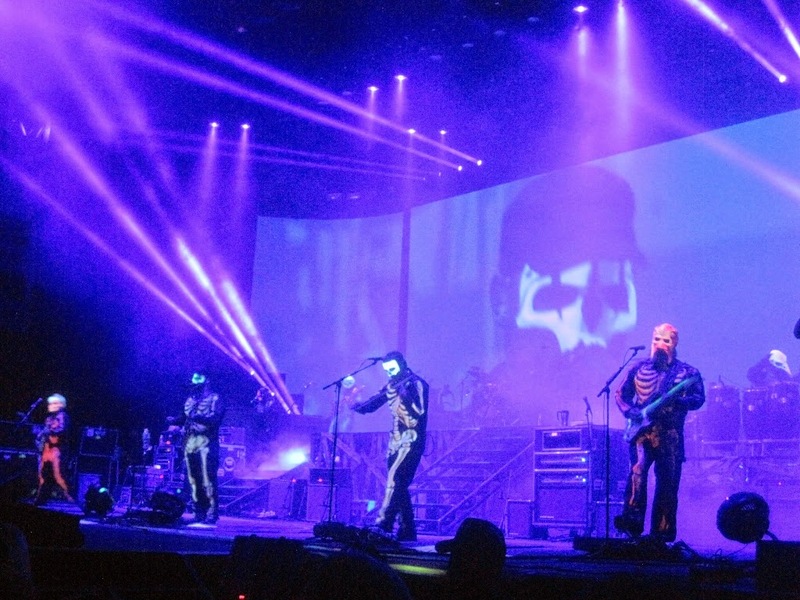 The band members almost morphed into these creatures on stage and the whole feeling was one of intrique. Amazing dedication down to last detail. I will say it once, if not a thousand times, there is no band, country or otherwise, that is quite like the Zac Brown Band. Whether it comes to the instrumentals, song selection, or overall quality of what you see and hear, no one quite compares, for my money. 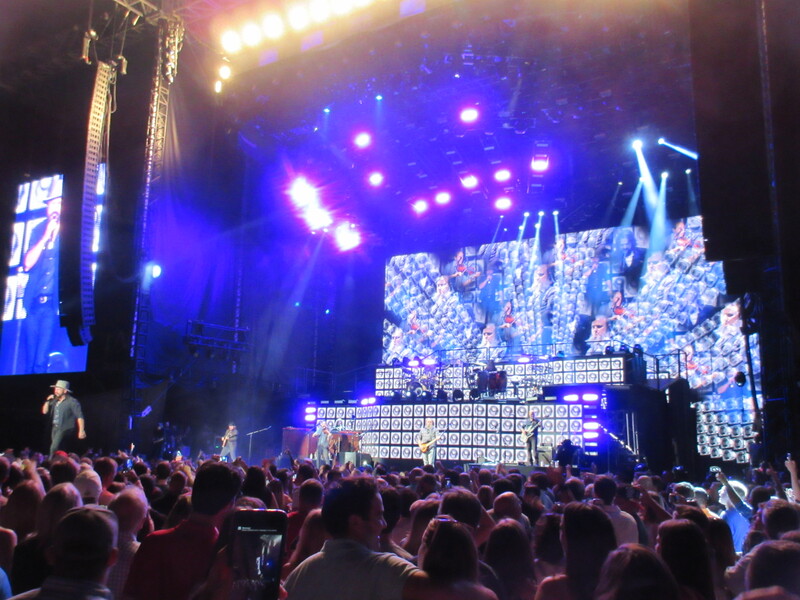 The Great American Road Trip Tour will seemingly be everywhere this summer, from Amphitheaters to Stadiums alike. This is one, that no music fan should miss. 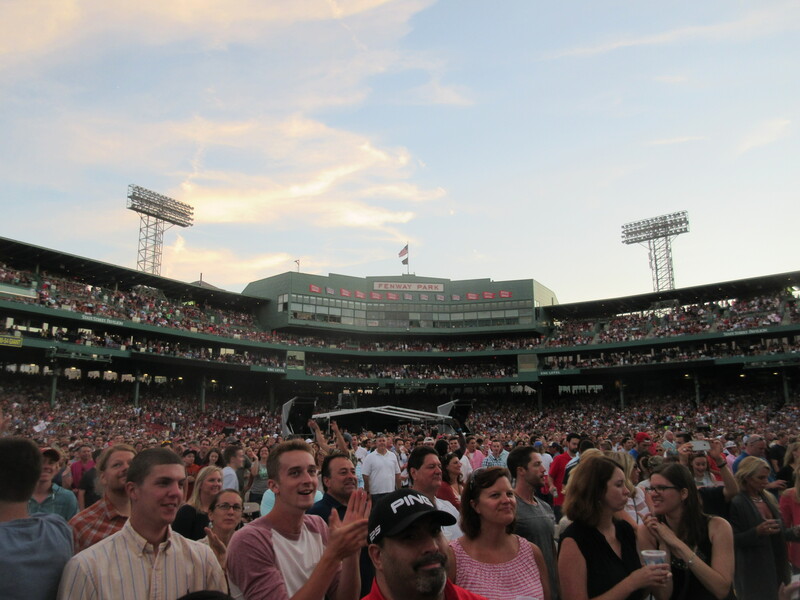 There are not many venues in the World that bring about an immediate sense of excitement. Madison Square Garden is absolutely one of them. 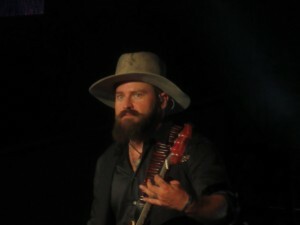 On November 17, 2012, the Zac Brown Band displayed an amplified version of themselves as their performance was one of passion, talent, and excellence. 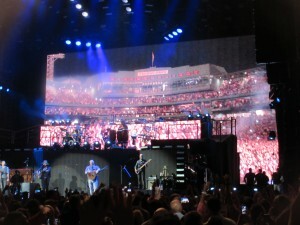 I can honestly say it was the best country music concert I have ever seen. 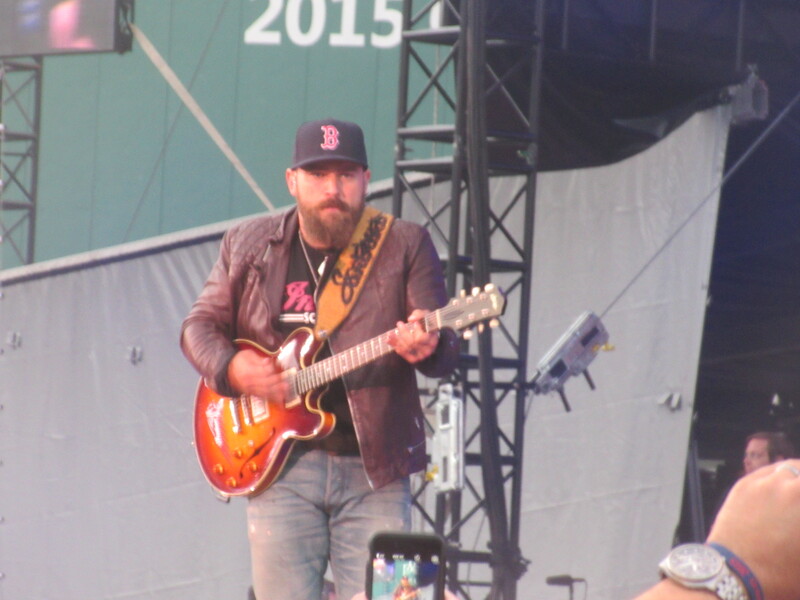 After short sets from Blackberry Smoke and Levi Lowrey, two acts that Zac has signed to his Southern Ground Record label, the crowd’s energy began to grow each second. The headliners were streamed live on Fuse TV and HD Camera’s were out in full force. As the giant white screen that covered the stage displayed a ten second countdown, the screams, clapping, and cheering from the hyped up crowd was at a defeaning level. 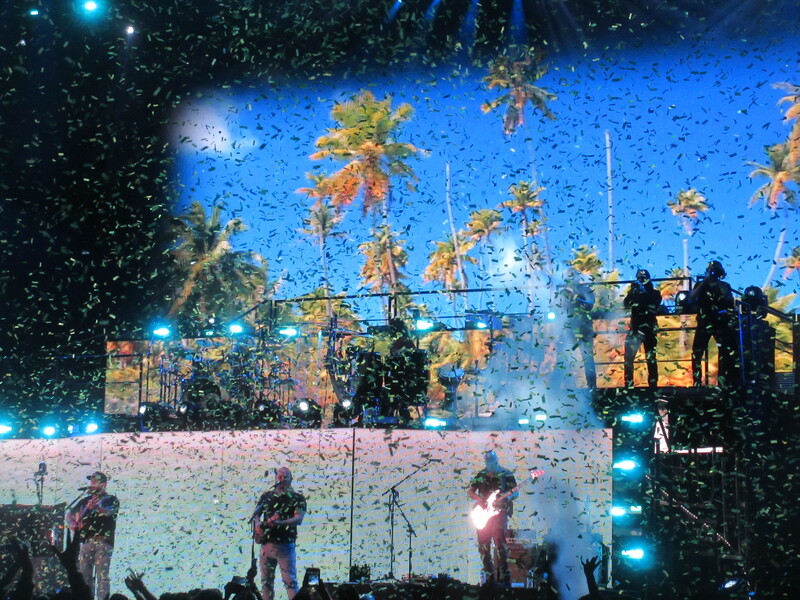 The white sheet dropped and the Band ripped right into their #1 hit “Keep Me in Mind”. The setlist was perfectly planned out, with a rollercoaster feel of fast, upbeat songs to emotional ballads and masterful covers of epic songs. 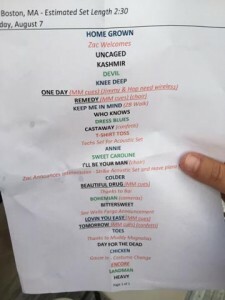 A few songs in, during “Colder Weather”, Zac took off by himself to the middle of the catwalk and looked up at the crowd and around the sold out arena as he sang the powerful lyrics. It was clear to all that Zac could not hold back his emotion as tears began to roll from down his eyes. It was a powerful moment for a fan like me and it was clear that Zac understood the moment. Most of the Band’s hits were played that night as “Toes”, “Free”, “The Wind” and “Kneep Deep” were instant sing-a-longs. 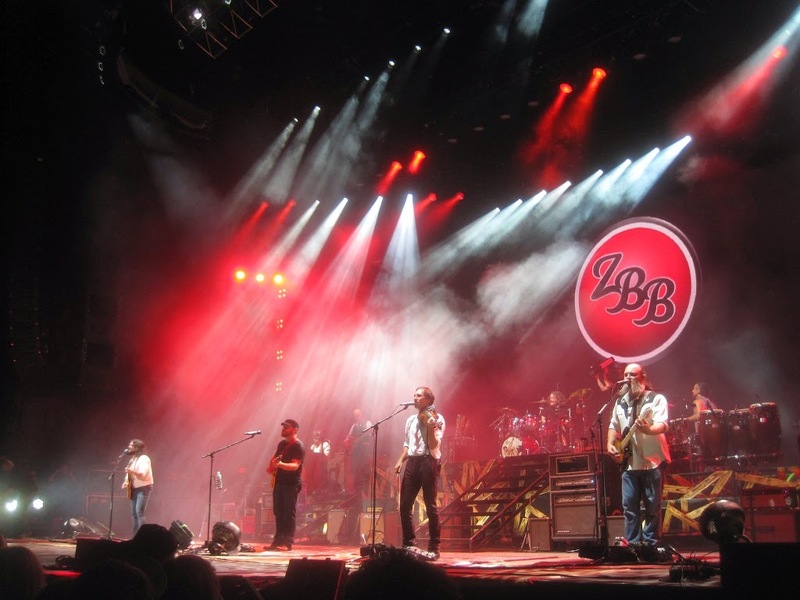 There were songs where each Band Member showcased their jam-band skills. “Who Knows” became a fifteen minute jam out and “Uncaged” was an all out Southern Rock Jam. 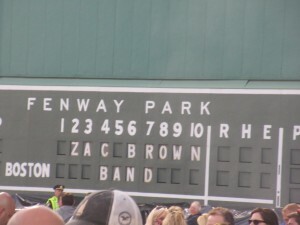 Zac indicated that he needed to make a new Bucket List because headlining the Garden was at the top of his current list. There was even an acoustic set where the Band sat on crates and barrels at the front of the catwalk as they played a new song called “One Day”‘ and covered “All Apologies” by Nirvana and “Sweet Emotion” by Aerosmith. Combine that set with the cover of Metallica’s “Enter the Sandman” during the bombastic encore and I challenge you to find me another band, be it in country music or any other genre, with the range to be able to pull off each of those classics without a flaw. 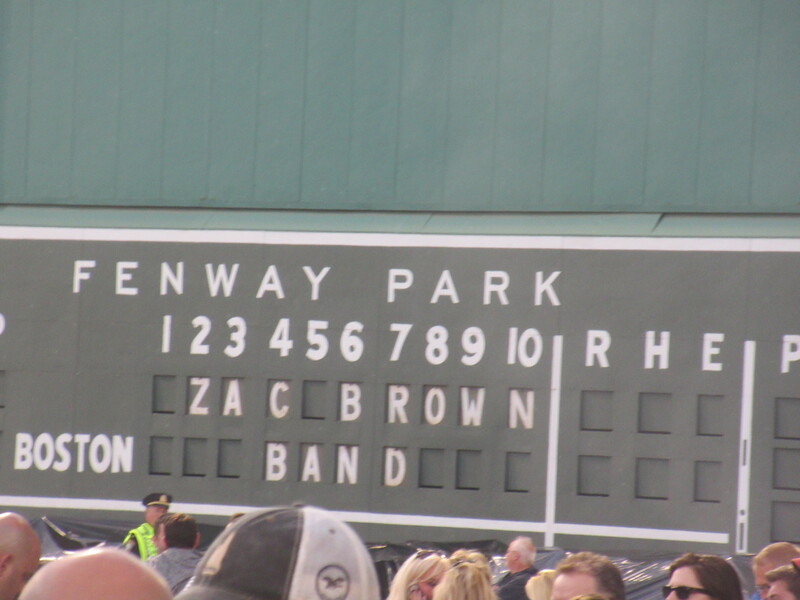 At one point, Zac’s father surprised him on stage during “Highway 20 Ride” as they shared an emotional hug. There was a drum off between Chris Fryar and Daniel De Los Reyes. Jimmy D’Martini ripped out fiddle solos that had people shaking their heads in amazement. Clay Cook took over vocals on “Can’t You See”‘ and took over the catwalk on several amazing electric guitar rifts with the charisma that only he contains. Coy Bowles and John Hopkins switched instruments from guitars, Cellos, mandolins, to steel guitars. 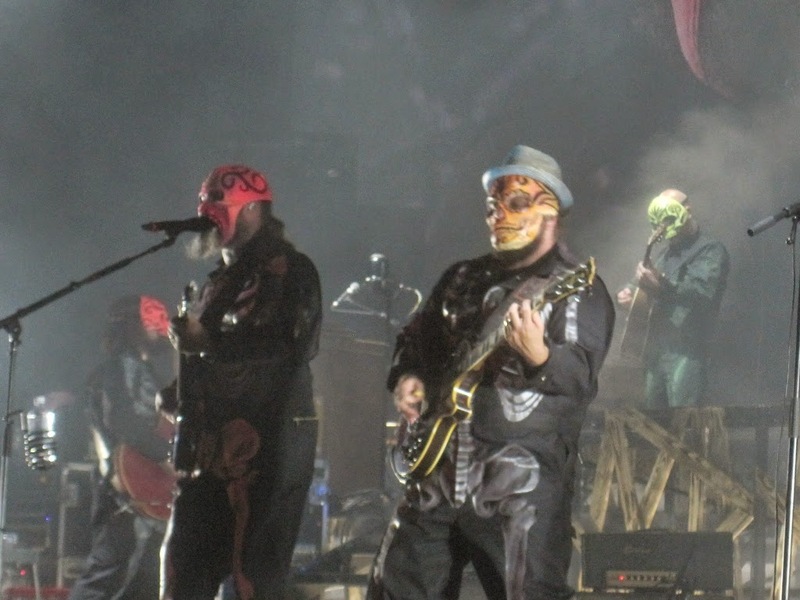 There was not a second where each Band member wasn’t a key part of the act, each equipped with immense skill and musical talent. 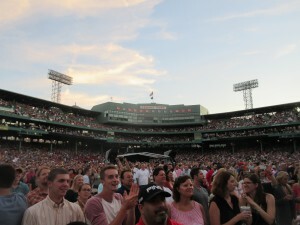 Of course the night ended with the biggest hit of the Band’s career thus far, “Chicken Fried”. 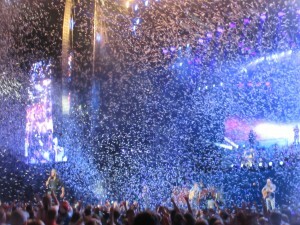 The entire crowd exploded as the Band played the megahit with grace, passion and pride. The crowd danced and sang with sheer happiness. 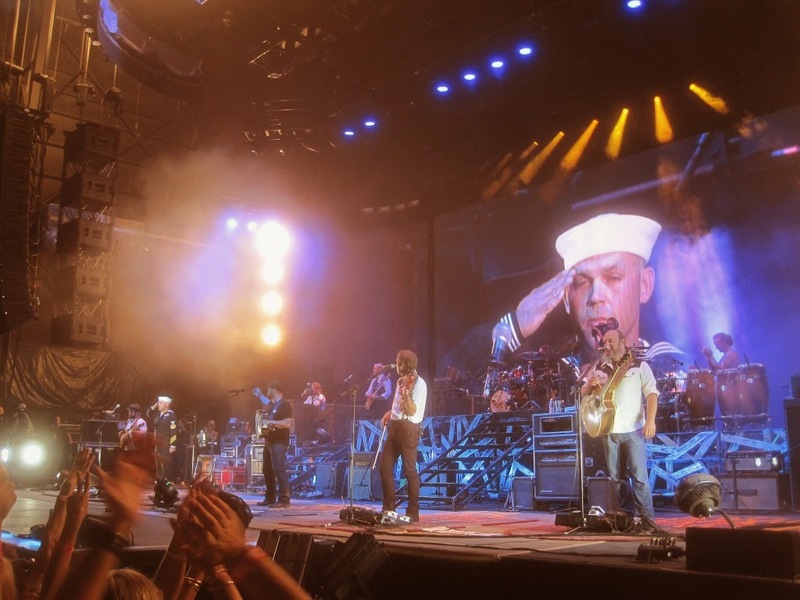 Zac and the Band took a bow and thanked the crowd. After the two plus hour set, I found myself more satisfied with a live concert performance than ever before. 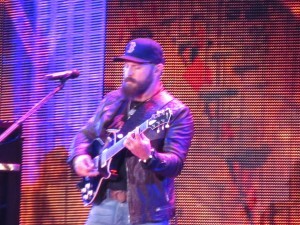 I saw ZBB for the first time, in February 2009, when they were a relatively unknown Band playing the small Bowery Ballroom in NYC. I was there a year later when they upgraded to Terminal 5, a ballroom sized venue in the City. Last summer, I was there at Metlife Stadium when they served as the opening act on Kenny Chesney’s Stadium tour. But Zac understood this moment, he understood what it meant to headline at Madison Square Garden. During “Colder Weather” he showed the emotion and the entire Band responded with an epic performance sure to be talked about for years to come. I’m sure everyone hopes they return to the Garden year after year. I just don’t know how another show can ever compare to his one. #ZBBMSG lived up to the hype and much more.